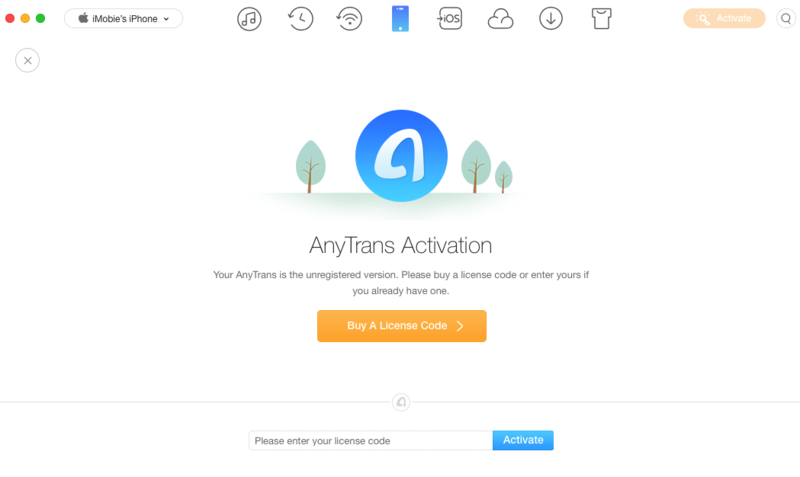 Learn the basics, settings and license code register of AnyTrans. Then, please refer to the following guide to facilitate your AnyTrans use. 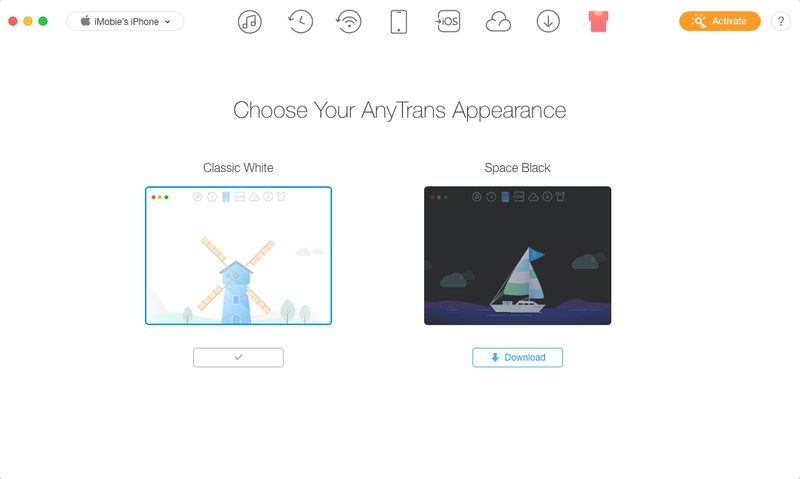 Please launch AnyTrans on your computer and connect your iOS or Android device after installing it successfully. 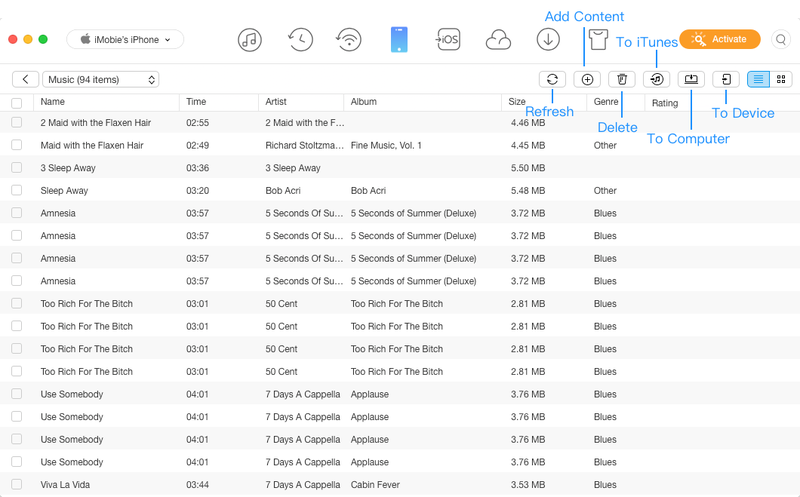 Then, the main interface will display. And you can click button to display AnyTrans in full screen as you need. 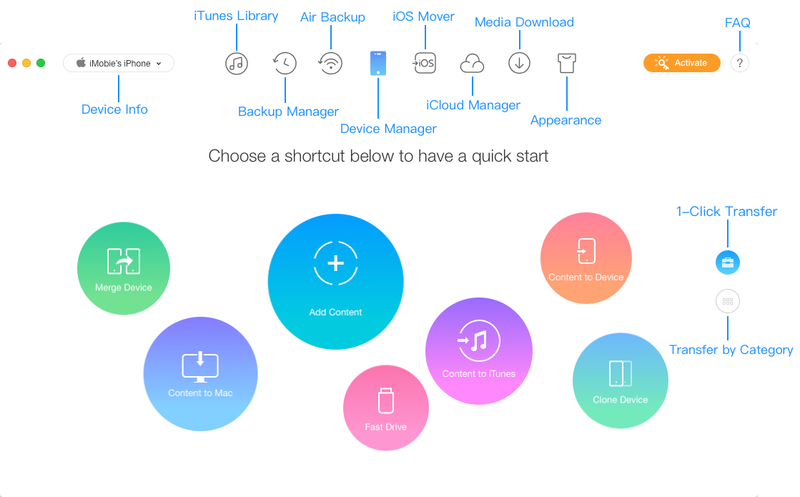 In the particular file management page, you can manage your files by clicking function buttons on the upper right corner as you need. To match up with iOS device appealing appearance, except Classic White, AnyTrans also adds the Space Black appearance. 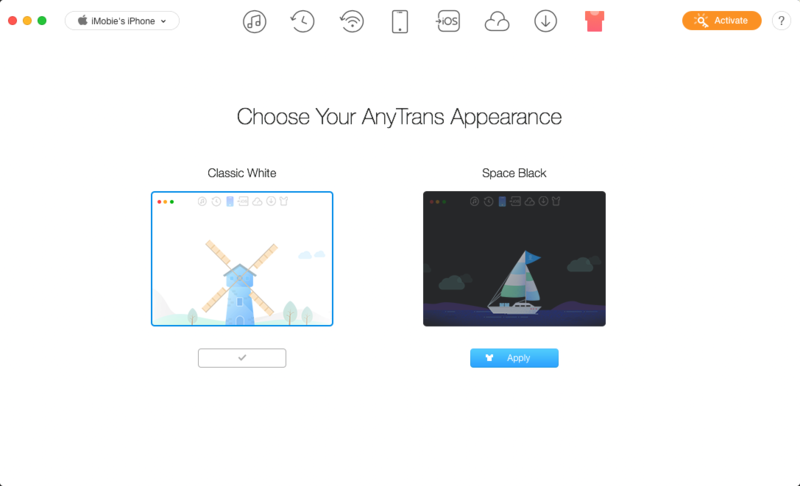 Firstly, please click icon to enter the main interface of AnyTrans Appearance. Then, please click "Download" button to download the Space Black appearance based on your needs. Meanwhile, please make sure the Internet connection is fine during the downloading process. After the downloading process completes, please click the Apply button to switch the appearance as you need. 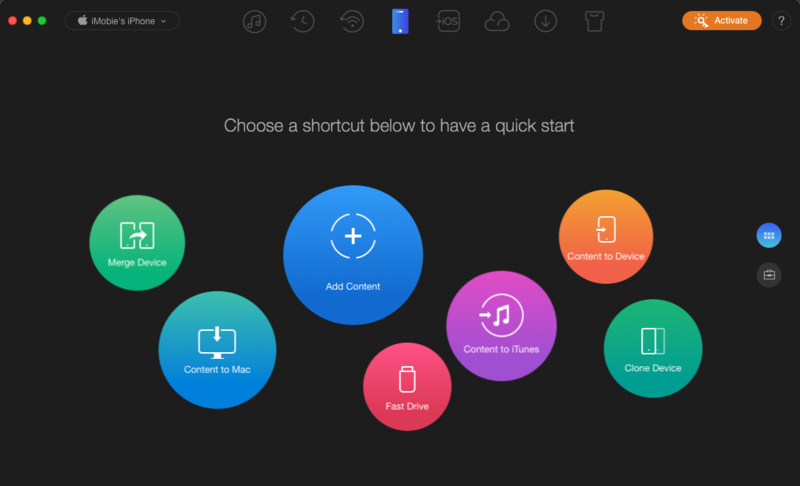 If you choose to apply the Space Black appearance, the interface below will display. To make good use of AnyTrans, please learn how to set up AnyTrans prior to your use. 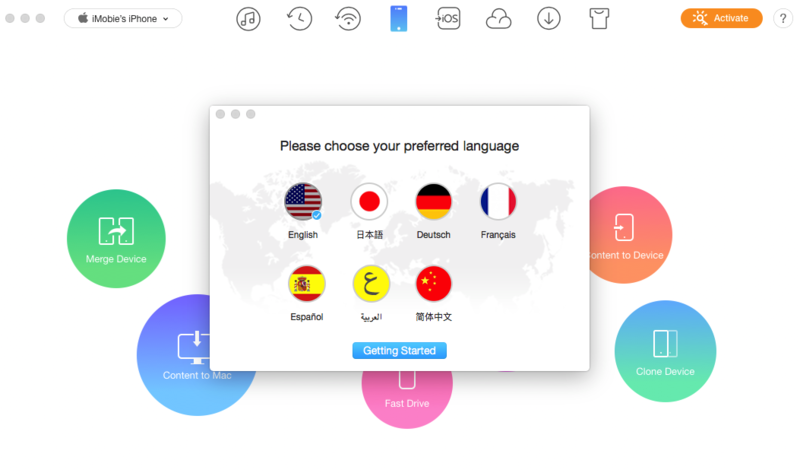 AnyTrans supports 7 languages (English, Japanese, German, French, Spanish, Simplified Chinese and Arabic). You can choose preferred language when you firstly launch AnyTrans or change it from the menu bar. 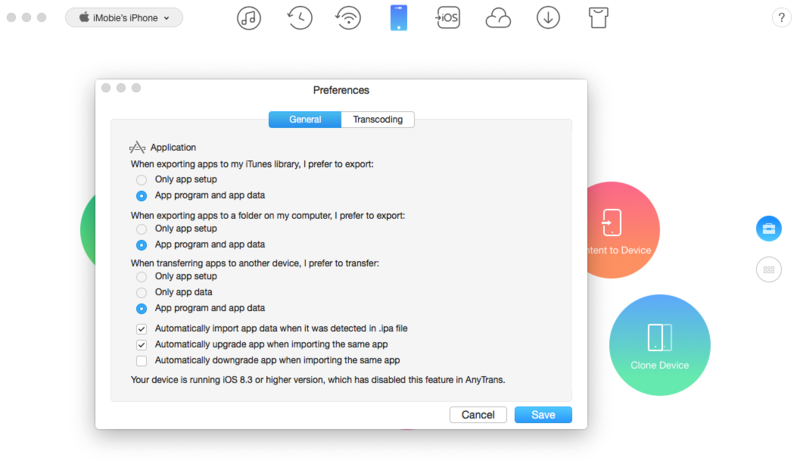 You can also change your preferred settings for Apps, Ringtones and Transcoding under Preferences in menu bar. 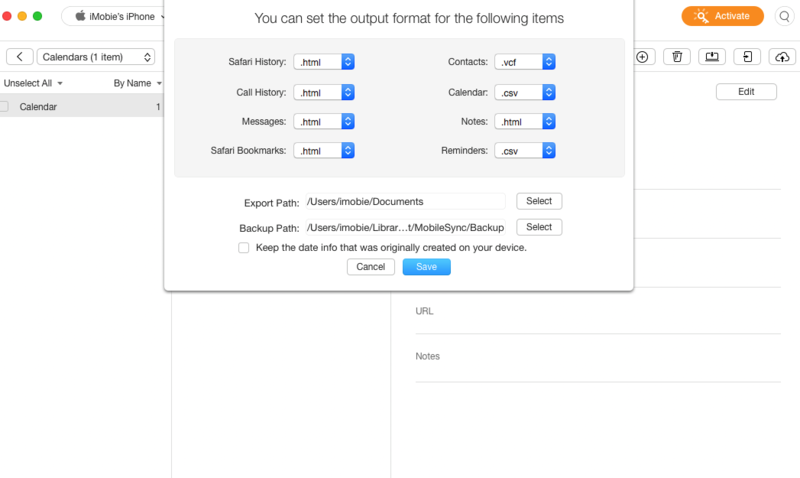 You can set the output format and the backup path for your personal data, including safari history, safari bookmark, contact, call history, calendar, message and note. 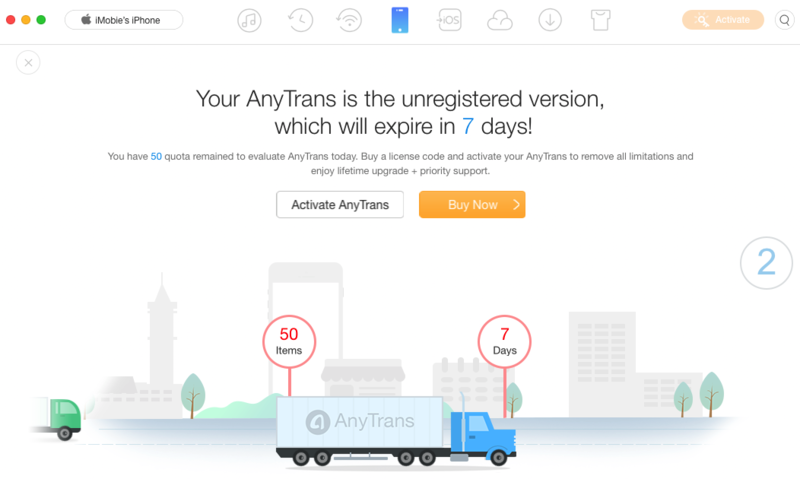 With the trial version of AnyTrans, you will be able to transfer 50 items per day and it will last for seven days after installation. To enjoy all features completely without limitations, please click button to purchase AnyTrans from website. If you already have one, please tap ￼ button and then copy & paste the license code to avoid any typing mistakes. Meanwhile, please make sure the Internet connection is fine when you register. Once AnyTrans registers successfully, the interface below will display.